Traveling to Lombok can be accessed in many ways. Since the Lombok International Airport opened in 2011, domestic and international flights are opened widely. Visitors mostly take domestic flights via Bali to Lombok (Ngurah Rai Denpasar to LIA Praya). Numerous accommodations are available nowadays. The easiest way to get into Lombok’s best destinations like three gilis also can be accessed via Bali to Lombok through Padang Bai harbor directly to Gili Trawangan. If you’re thinking to travel to Lombok, pressing your budget will be much better. International flights are opened from and to Lombok via Singapore and Kuala Lumpur. It operates twice a week regularly. If you want to save money with international flights, you can take flight via Jakarta with Garuda Indonesia which operates every day. Bali to Lombok can be accessed through numerous accommodations. 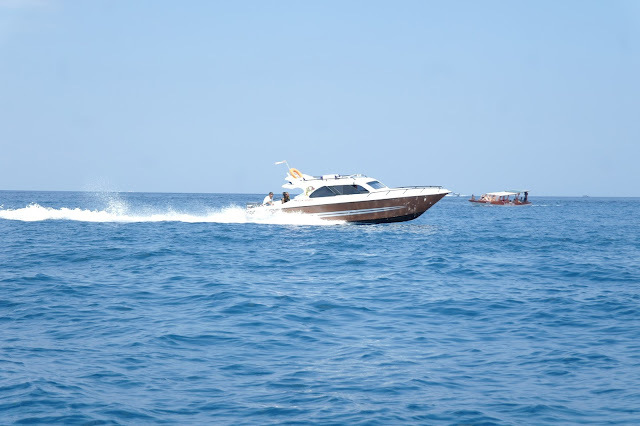 The fastest way is by fast boat from Padang Bai directly to Gili Trawangan and Senggigi. The boat operates every day starts from 9 am to 3 pm. Ferry to Lombok is also available with a little bit slower and will be landed in Lembar Harbour. You should take a taxi or book shuttle to pick you up to Senggigi. Traveling from Bali to Lombok via ferry is very suitable for backpackers. It saves your money more. Flights via Ngurah Rai Airport, Denpasar. Fast boat and Speedboat via Padang Bai, Bali.